today we are showing you a really fun diy project! 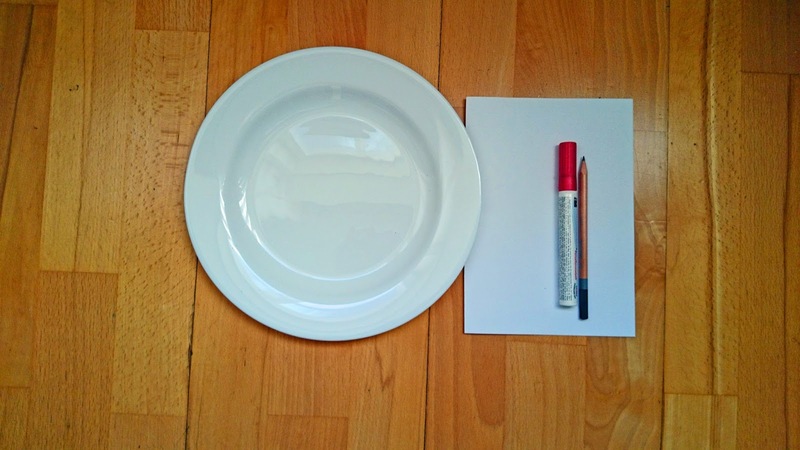 It is easy and you basically only need 2 things - perfect for a Monday afternoon. I like to add a personal touch to my things and therefor always wanted to prettify our porcelain. There are some shops where you can choose from an immense variety of dishware, paint it and let it be glazed and fired. Although I love these kind of stores, I find it a bit expensive and you have to wait for a couple of days to take your masterpiece back home. So imagine my happiness when I discovered porcelain pens! 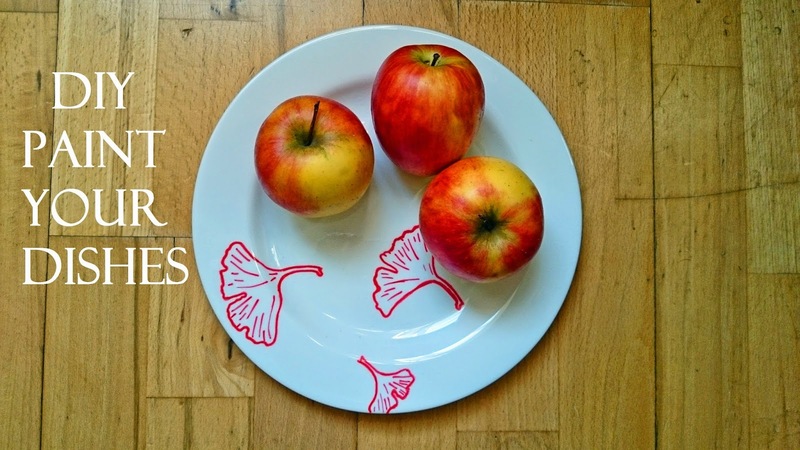 They are comparatively cheap (between 4-5 Euro), come in many different colors, are easy to handle and you can fire your painted dishes at home! 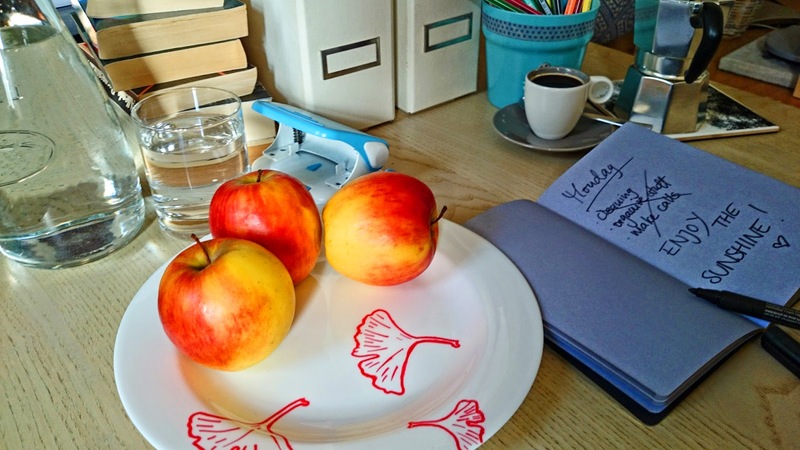 And the best thing:It doesn't matter which pattern you choose, if you want to write something on a mug, draw baby animals or simply want to fill your plate with dots - everything will look good!! Believe me. All you need is one of these pens (try your local hobby shop or arts supply store), a piece of porcelain (they even work on glass!) a pencil and a piece of paper to draw a sketch of your pattern. 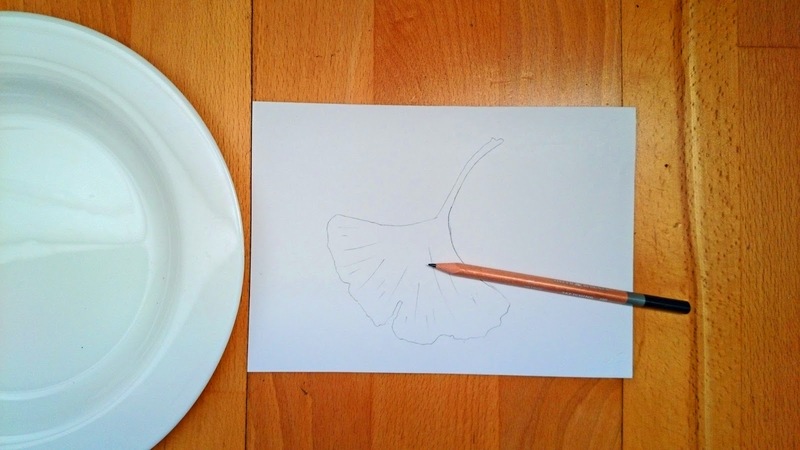 For my plate, I went for stylized Ginkgo leaves. If it is your first project with porcelain pens, don't make your pattern too filigree as the point of the pens are roughly the size of a medium felt pen. 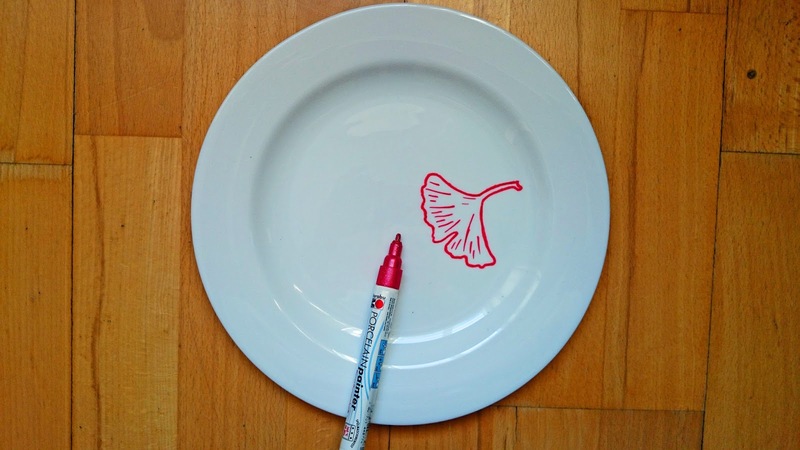 Don't worry if you make a mistake when transferring your pattern on the porcelain. You can easily wipe the color off with a damp cloth. When you're finished, let the piece dry for 4 hours. Then put it in the oven (no preheating!) and fire it for 30 mins at 160°C (320°F). Wasn't that fun? My boyfriend might have to hide our best china, as I am totally addicted to porcelain pens! Davon will ich auch essen <3 So edel!